Because of reasons, I have perforce made the acquaintance in the last few weeks of a couple of bits of medical terminology with which I was hitherto unfamiliar. Those who, like me, have always regarded medical language as technical, dry and incomprehensible may be as delighted as I am by these two dramatically emotive terms. Trauma to any bit of your body by way of injury or infection is referred to as an insult. And the word for abnormal liver function tests is deranged. I was halfway to the bookshop counter, wallet at the ready, very possibly with Casey's recent lovely post about Dante in the back of my mind and thinking $10 was a really good deal for one of the great classics of literature, even if I did have to read it in unsatisfactory translation (for I've never seen a translation of the opening three lines that seemed to me exactly right, and I don't even speak or read Italian, but I know what I like), when I idly opened it at random to check the print size and found to my great joy that what I was about to pay a pittance for was a parallel text, with Dante's exquisite, lucid, singing Italian -- late-medieval vernacular Italian and therefore linguistically at two removes from me, and yet somehow available to instinctive reading -- opposite the translation. Five years of excellent teaching and intermittent hard slog at Adelaide Girls' High back in the mists of time has left me with the ability to nut out a little bit of German and quite a lot of French if it is put in front of me, but such Italian as has sunk in, ie almost none (though I still remember the Italian for the first phrase I ever consciously learned: Posso provarlo? 'May I try this on?') has done so by accident and through some sort of process of osmosis. 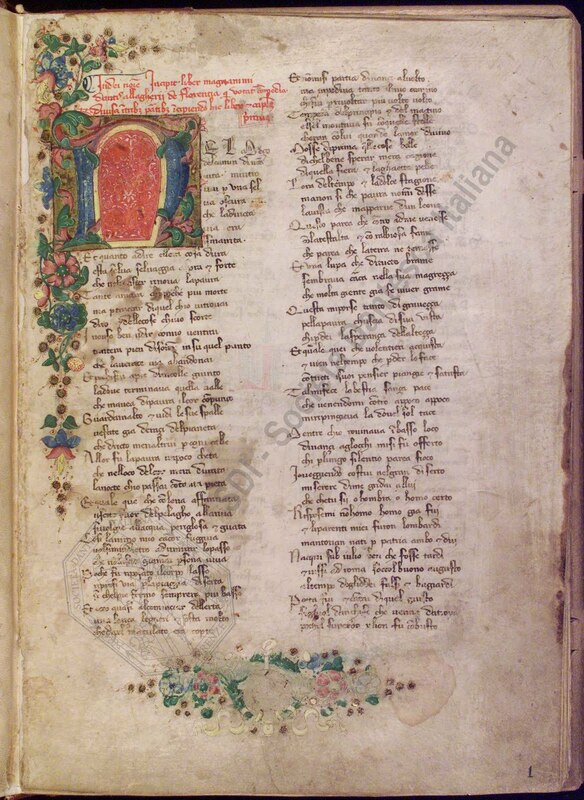 But it strikes me, not for the first time, that this verse is so beautiful one could teach oneself Italian simply by studying a page of this book a day. 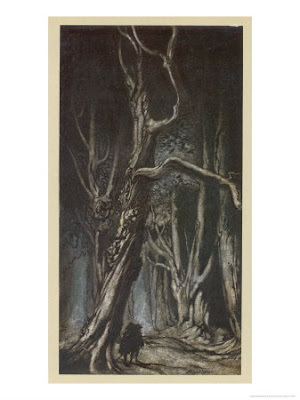 A dark wood, in which one has lost one's way: can you think of a better metaphor for middle age? ...Françoise sat down beside me with a volume of Dante and construed a few lines of the 'Inferno' to begin showing me how the language worked. 'Per mi si va tra la perduta gente' - 'Through me you go among the lost people'. A line that crushed the heart, but in the middle you could say 'tra la'. It was music. The opening lines likewise crush the heart -- 'In the middle of this life we live, I realised that I was in a dark wood, and the path was lost.' Or words to that effect. Also words to crush the heart, but look at the paper (or whatever it is) that they were written on. My dad, who turned 84 in February, has finally got himself a hearing aid, with the, erm, aid of Vets' Affairs. 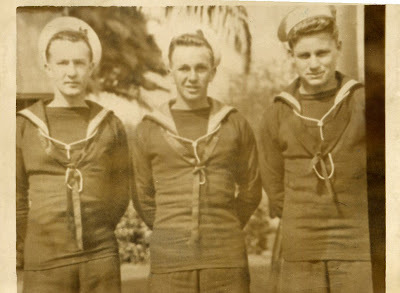 His 1944-46 stint trundling round the Pacific and then up and down the Queensland coast on a corvette used at the end of the war as a minesweeper (blown up the year after he was demobbed) has assured that he is being well looked after in his old age and just as well too. Yes, I know. I am very, very lucky.